The Midnight Review: Who Gets The Federal Dollars? 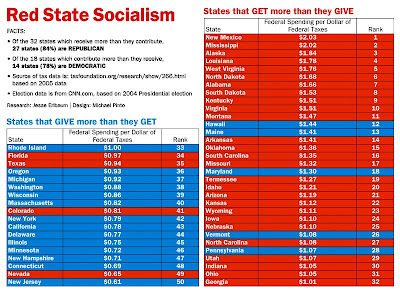 I found this interesting chart from October of 2008 from The Democratic Action Team pointing out how much federal money based on whether a state is Democratic or Republican. I thought it was interesting because it was before the Tea Party movement and before the really crazy rhetoric started to hit the fan. 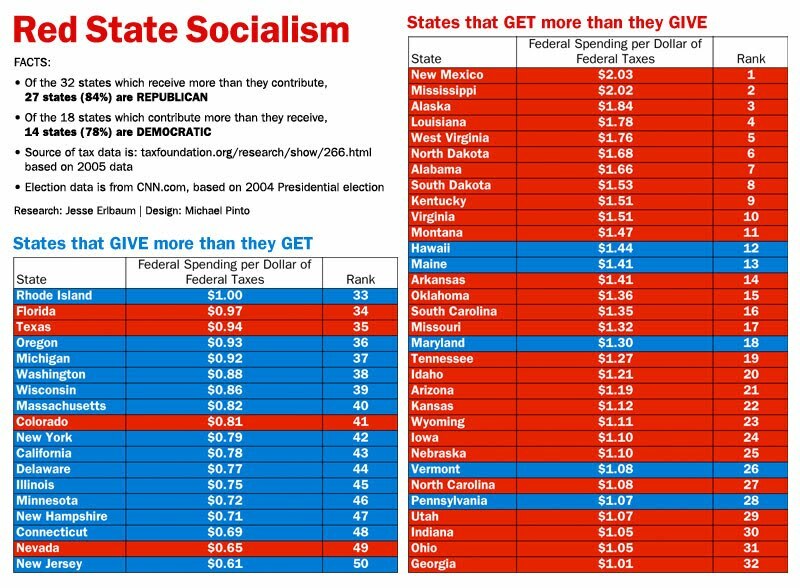 Apparently, states with higher concentrations of conservatives get more money back then what they put in while Democratic states give more money then they recieve. Wow, that's impressive. Especially when the GOP complains about living within their own means. Great find, Kevin. The GOP have 22 out of the bottom 25.
but can i quote the teabaggers - "dont touch my medicare"
Hypocrisy is alive and well with the teabag right. In my opinion, most of these teabaggers aren't aware that they are being manipulated by conservative political elites. They are just being good sheep doing what they are told.